Microsoft is working with key partners around the world to ensure consumers have access to an increasing range of connected devices. To meet growing consumer demand and address other policy challenges, we must consider multiple approaches which can be used that enable opportunistic, dynamic use of spectrum. Mr. Maina’s firstConsumers have access to an increasing range of connected devices, for use in and out of the home – the vast majority relying on wireless technologies. Consumers expect instant access to their favorite services regardless of which device they happen to be using, where they happen to be, and what time it is. 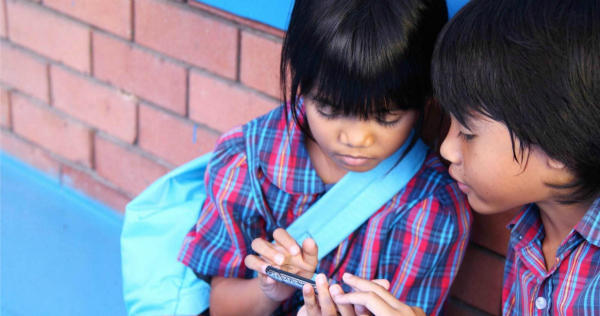 Whether it’s a simple ping from a rubbish can to the nearest rubbish truck, a school in a remote village connecting to teachers in the capital, or a group of friends watching the latest hi-def movie on a phone, broadband-quality wireless connectivity is essential. Unfortunately, even in the most developed economies there are gaps in wireless coverage, access points and base stations become overloaded in busy areas, and pricing presents an affordability barrier for many. In addition, hundreds of millions of wirelessly-connected devices are coming online, all requiring wireless connectivity and bandwidth, further increasing demand for spectrum resources. At the same time that available spectrum resources are being constrained in many markets, broadband access remains unavailable and/or unaffordable for several billion people around the world. Fixed broadband access is unaffordable for 3.9 billion people spread across every country in the world. Mobile broadband is unaffordable for over 2.6 billion people. Availability and affordability gaps are disproportionately impacting people in Africa, Asia, and Latin America. Wireless technologies and management techniques exist today that can replace artificial spectrum scarcity with naturally occurring spectrum abundance. One example is Dynamic Spectrum Access (DSA), a term used to describe a set of technologies enabling radio communications devices to opportunistically transmit on available radio spectrum. These technologies ensure that consumers and their devices have wireless bandwidth when and where they need it. Although the first globally-harmonized opportunity to showcase DSA is occurring through license-exempt (unlicensed) access to the TV band white spaces, DSA technologies will be used in a variety of spectrum bands. Underpinned by a regulatory framework that maximizes spectral efficiency and minimizes barriers to market entry, application of these new technologies will help networks and markets scale to inexpensively deliver the services demanded by consumers. For over a decade, Microsoft Research has been inventing new technologies to perfect these techniques. Numerous field trials have validated the feasibility of using these technologies to deliver broadband access. With regulations now in place in the United States and other regulators around the world working on policies and practices to enable DSA, we are starting to see the first commercial deployment of white space networks. As part of an effort to achieve needed regulatory change, Microsoft is supporting some of these deployments, including reference materials, global pilots, and various Microsoft Research projects related to spectrum technologies. Richard Thanki makes strong arguments that regulators should adopt permissive, rule-based, non-discriminatory access as the default mode of ‘Dynamic Spectrum Access’ (DSA) in his latest report, The Case for Permissive Rule-Based Dynamic Spectrum Access. In his study, The Economic Significance of License-Exempt Spectrum to the Future of the Internet, Richard Thanki details the economic potential of license-exempt radio spectrum. Fixed devices are permitted to operate at up to 4 Watts EIRP on second or more adjacent TV channels. They may operate on unused TV channels 2-51, except 3, 4, and 37. Personal/portable devices are permitted to operate at up to 40 milliwatts EIRP on adjacent channels and 100 milliwatts EIRP on second or more adjacent TV channels. They may operate on unused TV channels 21-51, except channel 37. Other governments’ regulators are considering similar power limits. Operating at the same power levels afforded to current Wi-Fi devices (40 or 100 milliwats), a simple calculation shows about 16X fewer access points are needed in the UHF part of TV white space (600 MHz) to deliver the same coverage as Wi-Fi in 2.4 GHz. With the same number of access points offering four times the range, one can achieve sixteen times the coverage. Fixed TV white space devices operating at higher power can provide multi-kilometer wide area connectivity akin to current 3G/4G wireless networks. Based on performance testing on current generation devices, TV band white space devices are expected to operate at efficiency levels (as measured by bits per hertz) comparable to other competing wireless technologies, but with the benefit of additional range derived from using available TV band spectrum. Better throughput was achieved closer to the base station. With non-contiguous and contiguous channel bonding an expected feature of second generation TV white space devices – for example, taking advantage of the emerging 802.11af/ac Wi-Fi standard – even better throughput can be expected. Another key difference from traditional Wi-Fi is that white spaces devices will gain managed access to unused TV channels by providing their precise locations to a database which in turn provides channel lists along with other operating parameters, such as power, duration, and geographic boundaries. 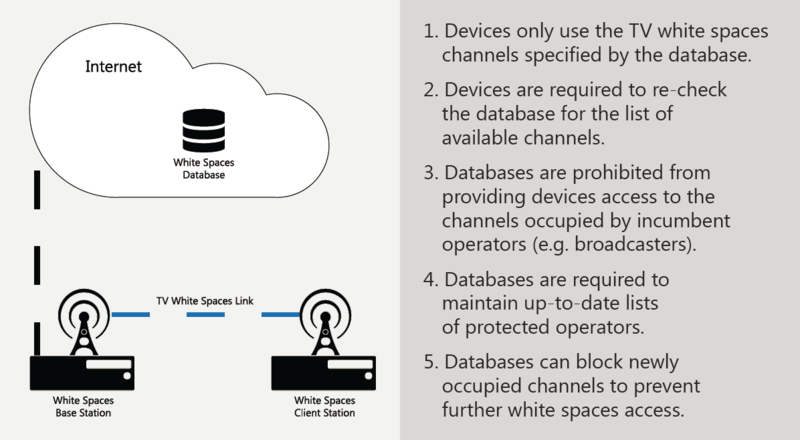 White space devices will only use those channels provided by an authorized white space database. If no channels are returned, a white spaces device will not transmit on TV band spectrum. With the ability to exchange information on channel utilization, throughput, packet loss, and other measures of quality, white space devices and databases will use this spectrum more intelligently over time. The Microsoft Spectrum Observatory was created with the purpose of providing an intuitive presentation of the usage of the wireless spectrum. The project is sponsored by Microsoft’s Technical Policy Group and the data is made freely available to the public. Data is recorded through monitoring stations and is stored and processed for visualization through the Windows Azure cloud. The Microsoft Research White Space database enables users to learn about the available TV white spaces spectrum, i.e., unoccupied TV channels, at a given location. A user can specify a location, and our service returns a list of TV channels that can be used for voice, video, and data communication along with the allowed power levels on each channel. Networking Over White Spaces (KNOWS) – Through this research, that started in 2005, we invented several protocols, including WhiteFi, which formed the basis of IEEE 802.11af. We designed, prototyped, and demonstrated amongst the world’s first radios, databases, and an operational network in October 2009. Cognac: Cognitive Network Access – The Cognac project tries to re-imagine WiFi in a world where spectrum may be fragmented (e.g., white spaces) and radios are feature-rich (e.g., software-defined). Decentralized Networking in White Space – There are several design challenges to make a decentralized white space wireless network work, such as signal interference and spectrum fragmentation. The goal of this project is to come up with technological solutions that would overcome the challenges. At Microsoft, our mission is to help people realize their full potential by democratizing access to technology. Working with over 1 billion people in over 170 counties we see the impact of our technology on a daily basis. From our devices to our services, we endeavor to make real impact with every single initiative we undertake. Our work on new wireless broadband access technologies, business models, and regulations is no different. Right now, over half the people on earth can’t get online. More than 4 billion people are not connected to the Internet, either because there is no infrastructure or because Internet access is not affordable. There is tremendous opportunity that technology like TV White Spaces (TVWS) can help create. While innovative uses of the radio spectrum – the building blocks of wireless connectivity – drive economic development, new business growth, policy evolution and countless other areas of the modern economy, it also has tremendous impact on the local and individual level – stories and impact that sometimes get lost in arcane discussions of technical specifications or policy ramifications. 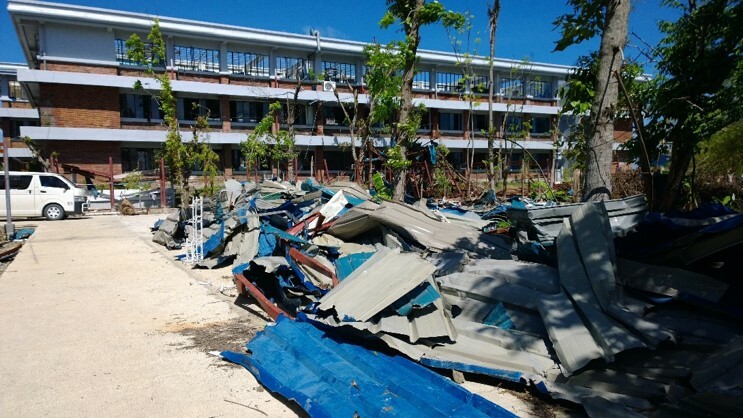 In late 2013, a series of typhoons devastated parts of the Philippines leaving thousands of citizens injured, displaced and without basic necessities. As part of emergency responses, the re-establishment of telecom and IT is increasingly as important as other parts of the public health infrastructure. To help with this, Microsoft has increasingly become able to respond almost immediately to crises similar to the Philippine’s typhoons. As part of the emergency relief efforts in the Philippines, Microsoft worked with a variety of partners to deploy four emergency.lu kits which provide almost turnkey and instant connectivity that then accelerate the delivery of other critical humanitarian operations. Emergency.lu is a communications solution for global disaster relief and humanitarian missions, developed and implemented as a partnership between the Luxembourg Government and a consortium of Luxembourg companies and organizations. In addition to the near immediate emergency.lu deployments, Microsoft quickly followed later with many partners in industry and government to create a TV White Space solution that provided Internet connections and Skype calling to help affected citizens communicate with their families within the Philippines and around the world. Together with the Philippines Department of Science and Technology Information and Communications Technology Office (DOST – ICTO), Microsoft has also placed devices at evacuation centers where citizens can access Skype and conduct a video call with their loved ones. In support of continued relief efforts, Microsoft has contributed approximately $1.1 million in monetary and in-kind donations, including employee giving and the company’s match program. Microsoft extends thanks to all those who have collaborated with us in supporting the Philippines during the weeks following the typhoon, and we would like to share a personal account from Karrie Ilagan, Country Manager for Microsoft Philippines. As the coordinator for the Laikipia County Red Cross in Kenya, Mr. Anthony Kuria is responsible for liaising between the Laikipia County Red Cross branch outside Nanyuki and its nearby sub-branches, as well as the Kenya Red Cross Society’s headquarters in Nairobi. 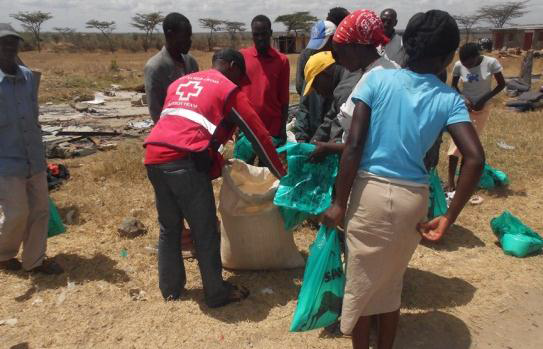 The Laikipia County Red Cross branch and its four sub-branches provide county residents with disaster relief and community empowerment services such as support to families that have lost homes to fires (one of the most prevalent disasters in the region), flood and drought damage relief, automobile accident response and proactive education on topics such as nutrition and first aid. Blood donation collection, a quintessential Red Cross program, is also conducted by the Laikipia County Red Cross. The Mawingu White Spaces Broadband Project is providing the Laikipia County Red Cross branch low-cost Internet access, a drastic improvement to the organization’s efficiency and scope of services, and most importantly, its bottom line. Broadband Internet is transmitted via TV white spaces technology from the Mawingu pilot base station in Nanyuki to a receiver on the roof of the Laikipia Red Cross office, which is located outside town. A router then transmits the signal throughout the office creating a Wi-Fi hotspot. Now Mr. Kuria and his colleagues use Microsoft Lync and Skype to give presentations to other branches and receive organizational trainings from headquarters. Work plans, reports and other documentation are easily sent via email, and simple matters that previously required in-person meetings or telephone calls can be communicated and resolved by email. Another hallmark service provided by the Red Cross in developing regions and disaster situations is locating and connecting missing people with their families. The Laikipia County Red Cross’ Family Link Tracing Program has traditionally assisted families in finding their missing loved ones using Red Cross Messages, a paper form mailed via postal service to other Red Cross branches. This was a lengthy process – Red Cross Messages would be sent between multiple branches until the family member was located; then the news would take a few days longer to travel back to the initiating branch by mail. Email has expedited the service tremendously, enabling instant communication between Red Cross branches and families. Providing broadband to rural areas of Kenya is critical to driving prosperity in rural areas, as well as Africa as a whole. It gives students – both children and adults – a new way to experience learning, and rural communities the ability to connect to the world, improving opportunities for economic development via e-commerce and small business growth. The vision of increased connectivity delivered by TV white spaces technology for organizations in rural communities like the Red Cross extends throughout Africa, beyond the Mawingu pilot in Kenya. Mawingu is part of Microsoft’s 4Afrika initiative to improve global competitiveness in Africa. In collaboration with the government of Kenya’s Ministry of Information and Communications and Indigo Telecom Ltd., the pilot delivers low-cost wireless broadband access to previously unserved locations near Nanyuki, Kenya. The wireless technology used in the pilot is called dynamic spectrum access, which enables wireless devices to opportunistically tap into unused radio spectrum to establish broadband connections. The project in Kenya uses these new technologies to create broadband connections over the unused portions of wireless spectrum in the television frequency band (so-called “TV white spaces”). Mr. Simon Matlebjane is an educator in rural Limpopo, South Africa – teaching learners how to use 21st century technology at the Mountain View Secondary School – an educational partner in the Microsoft 4Africa Initiative to provide wireless broadband access to five schools by leveraging unused TV Channel frequencies, or TV White Space (TVWS) spectrum. The Limpopo pilot includes teacher training and device donation, in addition to affordable broadband provision. In discussing the impact of the Limpopo project, Mr. Matlebajane states that affordable connectivity at the school represents, “a shift in paradigm, because IT is not usually implemented in schools” across the region. For Mountain View Secondary School, the TVWS pilot is delivering Internet access directly to classrooms for the first time. 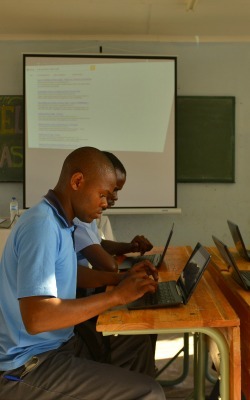 Internet access in the classroom, “means we will be shifting into one world from another world – which is an ICT (Information and Communications Technology) world,” says Mr. Matlebajane. Mr. Matlebjane is a leader in using technology for educational purposes. In 2014, Mr. Matlebjane was named Super Teacher of the Year by the Internet Service Providers’ Association (ISPA) for his efforts to eliminate technophobia among educators. Matlebjane trained his colleagues at the Mountain View Secondary School on how to use software productivity tools for educational purposes. Speaking about the TVWS pilot, Matlebjane has said, “the devices they gave us came with pre-installed programs that make to easy and fun to plan and teach in classes – ultimately the benefit of this goes to the leaners.” When asked about the benefits of using ICT technology in the classroom, Mr. Matlebjane says, “students become learners who can interact with ICTs, and they become more employable in the future.” He reports that the learners are very happy, because they can use the Internet to access necessary information for their studies. With the help of its partners, in particular the Council for Scientific and Industrial Research (CSIR), the University of Limpopo Department of Science and Technology, and Multisource networks, teachers have access to PCs, Windows 8 software, and learner content material specially tailored to match the school’s curriculum for the first time. As a technology partner in education, Microsoft and partners hope to be part of the solution to improving educational outcomes regionally. 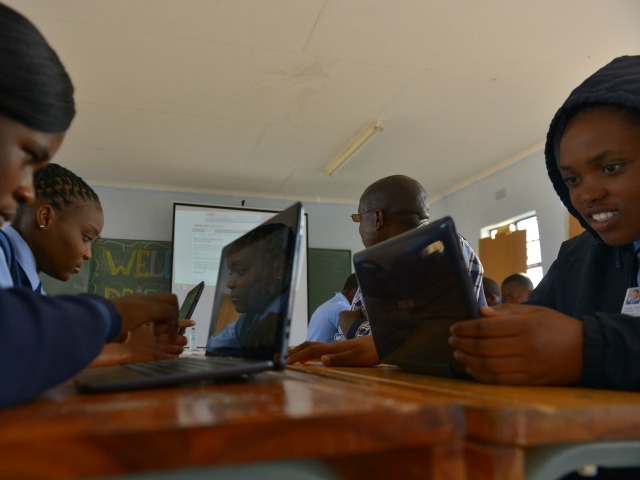 Microsoft has already invested $300,000 into providing free connectivity to five schools in remote areas of Limpopo province, including Mountain View Secondary School. In addition to free connectivity, Microsoft has equipped the schools with 30 tablet and other devices like projectors. Microsoft’s Limpopo TVWS project aims to help meet the South African government’s goal of providing low-cost broadband access to the majority of South African’s by 2020. This aim fits into the broader Microsoft 4Afrika Initiative, whose goal is to help ignite Africa’s economic development and improve Africa’s global competitiveness through innovation, skills, and affordable Internet access. The Limpopo project builds on years of experience from Microsoft and other partners to use the underused spectrum resource known as TV White Spaces (TVWS). TV white spaces networks work in much the same way as conventional wireless networks, but the signals travel over longer distances than the typical wireless signal. This exciting new technology is a perfect fit for Limpopo and the proven solutions are ready to deploy. The partnership with the University of Limpopo allows the mounting of a special White Spaces radio on their library that converts normal internet traffic into a formal that can be broadcast across the TV White Spaces. This technology is then in communication with the initial 5 target schools in the project thereby enabling the broadband access. Mr. Benson Maina is a Mawingu agent – selling low-cost Internet access and cellphone and other device charging to his rural community. Opened in November 2013, Mr. Maina’s business is located 17 kilometers from the town of Nanyuki in Kenya, and about 200 kilometers from the nation’s capital, Nairobi. 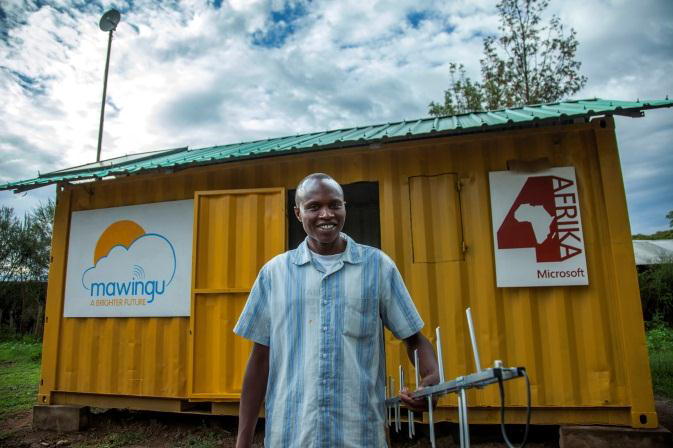 Mr. Maina’s shop, a solar-powered lab housed in a shipping container, is part of a TV white spaces pilot called the Mawingu White Spaces Broadband Project. 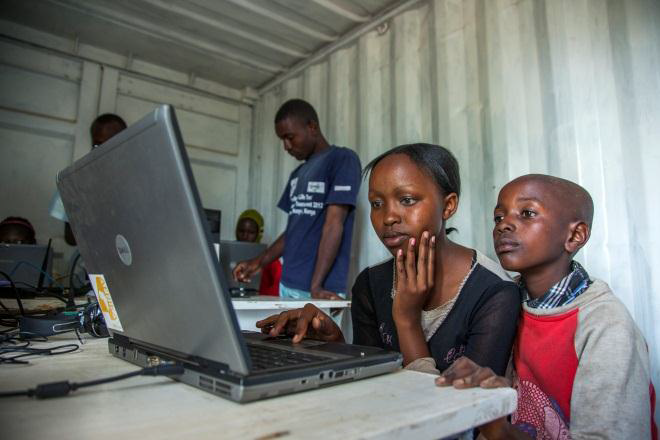 Containers like Mr. Maina’s shop are testing the commercial feasibility of low-cost hubs offering access to Internet and technological services and devices in rural Africa. It is the first in what could become a network of containers and other shops across rural Kenya, and hopefully Africa, to provide access to the Internet, electricity to charge devices, and technological expertise and guidance from tech-savvy Mawingu agents such as Mr. Maina. One of Mr. Maina’s first clients, James, is a nearby farmer who wanted to know about government farming regulations and chemical treatments that wouldn’t harm his crops. Mr. Maina’s clients include many more farmers and small business owners, like Steven, who came to the Mawingu container to learn about computer software. After researching software solutions online and with help from Mr. Maina, Steven started a prosperous business installing and repairing commercial and residential software in Nanyuki and other towns. Job seekers like Diana, a teacher who was unemployed for a year, use the Mawingu container to research and apply for jobs and communicate with prospective employers. Mr. Maina helped Diana find teaching opportunities online which led to the teaching position she now holds at Doldol Secondary School. Teachers and students are also frequent clients, researching lesson plans and assignments. 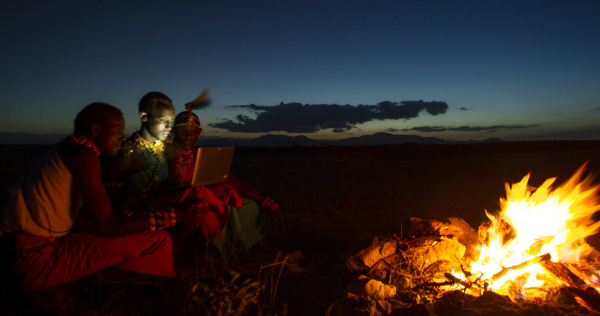 By offering affordable access to broadband and devices in rural areas without Internet or even electricity, people avoid time-consuming, tiring trips of many kilometers – often traveled by foot – to expensive Internet cafes where they spend their savings checking emails, researching job opportunities and looking for other information. Mawingu hopes to be a center for trade and a hub for commerce by transforming the traditional, inefficient and expensive marketplace trading routines. Rather than traveling to city center markets to sell goods, Mawingu offers merchants the opportunity to generate awareness and attract customers to visit the merchants, as well as work with neighboring vendors to form cooperatives. Internet access takes the burden of travel, time and transportation funds off the merchants and allows more time for goods production. Mawingu is part of Microsoft’s 4Afrika initiative to improve global competitiveness in Africa. In collaboration with the government of Kenya’s Ministry of Information and Communications and Indigo Telecom Ltd., the pilot delivers low-cost wireless broadband access to previously unserved locations near Nanyuki, Kenya. The initial installation near Nanyuki currently includes eight customer locations: Male Primary School, Male Secondary School, Gakawa Secondary School, Laikipia County Government Office, Laikipia Public Library, the Red Cross office near Nanyuki, the Burguret Dispensary healthcare clinic (operations to begin soon), and the first Mawingu charging and bandwidth agent, Mr. Maina. In early 2014, an additional 33 end user locations will be added to the network, including several more schools, Mawingu agents, and businesses in the area. The network is featuring white space radios manufactured by Adaptrum and 6Harmonics. For over 5 years, Microsoft has been working with industry and government partners around the world to demonstrate the viability and potential of Dynamic Spectrum and TV White Spaces. The viability of the technology has been proven in over a dozen trials and commercial deployments around the world – ranging from remote villages of Africa to the dense urban centers of Asia. The Botswana Innovation Hub, in collaboration with Microsoft, the Botswana-UPenn Partnership (BUP), Global Broadband Solutions, Vista Life Sciences, BoFiNet, Adaptrum and USAID-NetHope, has launched a new TV white spaces (TVWS) pilot project. The project, known as Project Kgolagano, will provide internet connectivity and telemedicine services to local hospitals and clinics, which will enable access to specialized medicine in Gaborone and other locations around the world. In May 2014, Microsoft announced a commercial pilot in partnership with SpectraLink Wireless providing low-cost wireless connectivity to students and faculty at universities in Koforidua, Ghana and a linked joint research initiative with Facebook. The pilot partners are deploying wireless networks covering entire campuses at All Nations University College and Koforidua Polytechnic. The pilot is part of Microsoft’s 4Afrika Initiative to help improve the continent’s global competitiveness. For students and faculty at the universities, access to the network will be coupled with productivity and communications applications as well as Internet enabled devices. The networks will use TV white space-enabled radios and other wireless technologies to connect campus buildings as well as off-campus hostels where students live to ensure they have access to fast broadband. The project is operating under a TV white space pilot license granted by the Ghana National Communications Authority (NCA) and is the only TV white space license currently issued in West Africa. MyDigitalBridge Foundation in partnership with Microsoft and Adaptrum, with support from the Millennium Challenge Corporation (MCC) and Millennium Challenge Account (MCA)-Namibia, has successfully trialed the Namibian TV White Spaces (TVWS) pilot project. The intention is to provide a blueprint of broadband internet connectivity countrywide. Called ‘Citizen Connect’, the pilot consists of a network deployed over a 62km x 152km (9,424 km²) area covering three regional councils: Oshana, Ohangwena and Omusati, and connecting 28 schools in northern Namibia. This makes it the biggest TVWS project of its kind in terms of area coverage. Namibia, like most sub-Saharan African countries, is facing a digital divide. The International Telecommunications Union (ITU) country profile shows that only 13.9% of the population is using the internet. “Our mission is to facilitate appropriate private-public sector (PPP) initiatives to ensure the underserved and un-served communities in Namibia are included in the technology landscape,” says Dr. HyltonVillet, Chairman of MyDigitalBridgeFoundation, which architected and deployed the network with support of Microsoft and Adaptrum. “This pilot project came at the right time for us to answer to the challenges of internet access, or the lack thereof, to all our citizens,” says Hon. Dr. Moses Amweelo, the Chairman of the Parliamentary Standing Committee on ICT. In 2012, the United Nations Human Rights Council passed a resolution recognizing internet access a basic human right. In his final State of the Nation address in March 2014, his Excellency, President Pohambaof the Republic of Namibia, specifically highlighted the importance internet will play in transforming and modernizing the Namibian economy. In July 2013, Microsoft entered into a partnership with the Philippine Department of Science and Technology’s Information and Communication Technology Office (DOST-ICT Office), Department of Agriculture’s Bureau of Fisheries and Aquatic Resources (DA-BFAR) and the U.S. Embassy Manila’s United States Agency for International Development (USAID) to explore delivering broadband connectivity to remote areas in the municipalities of Talibon, Trinidad, Bien Unido, Ubay and Carlos P Garcia. Results will be gathered and considered for potential expansion in 2014. The target of the trial are fishing communities in particular, as the initiative will allow local government units to access the BFAR’s Fisherfolk Registration System (FRS) directly from the field, enabling municipalities to immediately distribute critical IDs, certificates and licenses to the fishermen that need them. Additionally, field operatives from the Philippine National Police, Bantay Dagat, and BFAR will be able to immediately access and connect to a central database to monitor compliance. The registration, supported by USAID’s Ecosystems Improved for Sustainable Fisheries (ECOFISH) Project, will enhance the Philippine Government’s economic assistance to the fisheries sector, focusing on sustainable practices that seek to restore the health of the ecosystem to produce more fish, feed more people, and generate more jobs. The partnership will also provide internet access for the target municipalities. Public institutions such as clinics, public schools and barangay halls will be transformed to e-knowledge hubs and will serve as mobile registration centers especially for fishermen located in remote areas. In July 2013 Microsoft launched a pilot project in rural Limpopo that aims to deliver high-speed and affordable broadband to underserved communities using TV white spaces technology. The focus of the pilot will be to prove that TV white spaces can be used to meet the South African government’s goals of providing low-cost access for a majority of South Africans by 2020. The pilot is a joint effort between Microsoft, the Council for Scientific and Industrial Research (CSIR), the University of Limpopo and network builder Multisource. It will use TV white spaces to provide low-cost wireless broadband access to five secondary schools in underserved parts of the Limpopo province. The project will use the University of Limpopo as a hub for a white space network deployment that will provide nearby schools in local communities with wireless connectivity. The project will also provide each of the five schools with Windows tablets, projectors, teacher laptops and training, education-related content, solar panels for device charging where there is no access to electricity, and other support. At the World Economic Forum on Africa in May 2013, Microsoft announced a new pilot in Dar es Salaam, Tanzania. Microsoft will partner with the Tanzania Commission for Science and Technology (COSTECH) and local Internet service provider UhuruOne utilizing TV white spaces to offer affordable wireless broadband to university students and faculty. Through the pilot, students and faculty will also be able to access Windows 8 device and service packages. The pilot’s initial deployment will target the University of Dar es Salaam, among others. Much like our commercial pilot in Kenya, this project is part of Microsoft’s 4Afrika Initiative and is designed to assess the commercial feasibility of offering affordable wireless broadband through TV white spaces. The pilot in Tanzania, however, is specifically focused on urban deployment and delivering an integrated device, service and connectivity solution to university students. In addition to offering these comprehensive solutions, the pilot will hire a team of students as on-campus support staff for the network infrastructure. These students will have the opportunity to learn valuable technical skills and gain qualifications for IT-related career paths. The pilot group members are: Tanzania Commission for Science and Technology (COSTECH), UhuruOne, and Microsoft. Microsoft Corp., in collaboration with the government of Kenya’s Ministry of Information and Communications and Indigo Telecom Ltd., launched a pilot project delivering low-cost wireless broadband access to previously unserved locations near Nanyuki and Kalema, Kenya. Launched in February 2013, the network utilizes TV white spaces and solar-powered base stations to deliver broadband access and create new opportunities for commerce, education, healthcare and delivery of government services. The project is the first deployment of TV white space technology in Africa targeted at communities without access to broadband or electricity and is a result of a memorandum of understanding that presents a framework of cooperation between Microsoft, the Kenyan Ministry of Information and Communications and industry partner Indigo Telecom. To date, work in this space in Africa has exclusively focused on demonstrating the technical feasibility of using TV white space technology. This project takes an important next step forward by instead focusing on assessing the commercial feasibility of delivering low-cost access using TV white space technology. The initial installation near Nanyuki includes five customer locations: the Burguret Dispensary (healthcare clinic), Male Primary School, Male Secondary School, Gakawa Secondary School and Laikipia District Community Library. The installation in Kalema will begin with a base station that connects to a government of Kenya agricultural extension office. Fourteen more locations on the network will be added. The network will also feature white space radios manufactured by Adaptrum. This pilot is part of Microsoft’s broader 4Afrika Initiative, to help improve the continent’s global competitiveness. A core goal of the 4Afrika Initiative is to facilitate access to technology for the masses and to empower African students, entrepreneurs, developers and others to become active global citizens. The Pilot group members are: Kenya Ministry of Information and Communications, Indigo Telecom Ltd., Adaptrum, and Microsoft. Singapore White Spaces Pilot Group (SWSPG) was established in April 2012 with support from Infocomm Development Authority (IDA). The objective of the group is to deploy White Spaces technology pilots in Singapore, thereby accelerating the adoption of White Spaces technologies globally. SWSPG aims to attract broad members from public and private sectors, local and international industry, academic and research institutes and end-user organizations that could benefit from this next generation broadband wireless connectivity. Singapore Island Country Club: The country club will use the new technology to optimize the connectivity and deploy smart sensors, which will help it monitor the moisture of the golf course and track golf buggies among other uses. Changi district around the airport: During the time in port, vessels rely on satellite connectivity for their crew to access e-mail, Internet, and voice communication services, but this mode of wireless connectivity is costly and subject to time delay depending on weather conditions. White Spaces technology will provide a cheaper and more reliable alternative. National University of Singapore: The third commercial deployment is a collaboration between I2R and Power Automation to allow the National University of Singapore (NUS) to meter the use of air conditioners and charge hostel residents according to their usage. Gardens by the Bay: Singapore’s iconic attraction has undertaken a TVWS trial to provide Wi-Fi connectivity to its visitors in a reliable and cost-efficient manner. Currently three different sites at Gardens by the Bay – Supertree Grove, Meadow and Canopy – offer TVWS based Wi-Fi connectivity to visitors. Sentosa: Singapore’s island resort is implementing a trial to deploy security surveillance cameras at Siloso Beach, Belawang Beach and the Merlion complex, while demonstrating the co-existence of multi TVWS vendors in a single environment. Housing & Development Board (HDB): This pilot project responds to a need for video surveillance for rooftop security, car park enforcement and getting real time video from the lift system in HDB buildings. TVWS technology is expected to add efficacy in getting real time coverage, which would result in enhanced security and safety for the residents. Eurokars Group: Singapore’s flagship car dealership will use TVWS to cost effectively extend their IT network to a number of outlying buildings. This will be complemented with unique concierge services: test-drive vehicle tracking and customer scheduled service management. The Pilot group members are: Adaptrum, Eurokars, Grid Communications, HDB, iconectiv, Institute for Infocomm Research, Neul, NexWave, National Institute of Information and Communications Technology (NICT), Power Automation, the Singapore Island Country Club, Sentosa Development Corporation, Spectrum Bridge, StarHub, ST Electronics, Terrabit Networks, ZDW Systems, and Microsoft. Launched in June of 2011, the Cambridge White Spaces Trial was designed to evaluate both the technical capabilities of the technology as well as potential end user applications and scenarios. 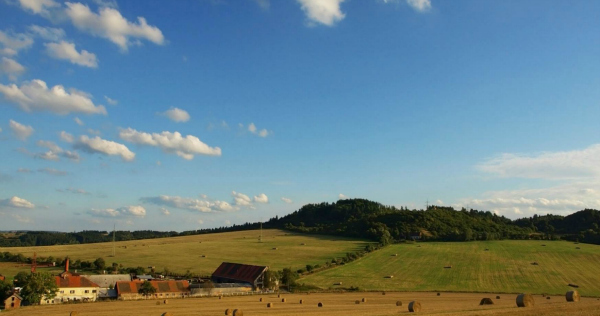 The consortium explored and measured a range of applications, including rural wireless broadband, urban pop-up coverage and the emerging “machine-to-machine” communication, and found TV White Spaces can be successfully utilized to help satisfy the rapidly accelerating demand for wireless connectivity. To test city center coverage the consortium set up base stations in four pubs and a theater, seeking to provide widespread coverage including “pop-up” Wi-Fi hotspots. The tests showed that TV White Spaces can extend broadband access and offload mobile broadband data traffic. These hotspots can enable users to enjoy data-intensive services such as online video provided by BBC iPlayer and Sky Go during peak usage times, when additional capacity and wider reach is needed. The tests also demonstrated that coverage was extended much further and with less interference than conventional 2.4 GHz Wi-Fi. Rural connectivity was also a key priority for this trial. The residents benefited from radical improvements in their broadband service, up to 8Mbps net speed achieved over 5.5km links, within an 8 megahertz bandwidth, using a modified, prototype version of the Neul Weightless technology. Results led to anticipation that further optimization could see speeds greater than 20Mbps. To test the machine-to-machine scenario, BT and Neul developed an application that would send an alert message to the city council when dustbins were full and needed to be emptied. This helped reinforce the belief that TV White Spaces are uniquely positioned to unlock the potential promise of the Internet of Things. The trial completed in April of 2012 after more than 10 months of comprehensive testing in urban and rural areas in and around Cambridge. By any measure, the trial was a success. The trial verified that Cambridge has significant TV White Spaces capacity – upwards of 20 white spaces channels corresponding to 160 megahertz in total. The key scenarios were validated, technical validation was sound and exceeded expectations and there were no unforeseen impediments or hurdles. Based on the results, the consortium recommended that Ofcom complete the development of its regulatory framework to enable the commercialization of the technology. Consortium partners: Adaptrum, Alcatel-Lucent, Arqiva, BBC, BSkyB, BT, Cambridge Consultants, CSR, Digital TV Group, Neul, Nokia, Samsung, Spectrum Bridge, TTP, Virgin Media, and Microsoft. Microsoft participated in the first US deployment of TV White Spaces in Claudville, Virginia. The White Spaces trial there offers both an alternate broadband network as well as a model by which the government might be able to better utilize scarce spectrum resources available to it for delivering ubiquitous mobile broadband. Initially, the TDF Foundation funded the construction of a computer lab with high-speed Internet. Due to the distances between locations and dense foliage in the area, extending broadband further into the community via fiber or copper lines was impractical and cost-prohibitive. At this stage Microsoft partnered with Dell and Spectrum Bridge to connect Claudville’s post office, several businesses and homes, and Trinity Christian School to the fiber optic backbone using prototype wireless White Spaces equipment under an experimental license granted by the FCC for 18 months. Using existing infrastructure, the Spectrum Bridge installed its software application on a White Space radio at locations throughout the service area. These radios were set up at the local school and the café located in the business district. Dell and Microsoft donated the computers and software installed in the school’s classrooms. The initial deployment provided access to broadband, finding available TV White Spaces in the locations required; determined channel availability including contiguous and non-contiguous channels and provided real-time updates to move users in the event of incumbent use. “I hope that Claudville will become a model for delivering broadband services to more rural communities in a cost-effective manner in the future,” Rep. Rick Boucher (D-Va.), chairman of the House Subcommittee on Communications, Technology and the Internet, said in a statement. In October 2012 Microsoft worked with the Swiss regulators to demonstrate the potential of TV White Spaces technology for unlocking heretofore unused TV band spectrum to deliver broadband-grade voice, data, and video applications. With our partners Neul, the University of Strathclyde, Steepest Ascent, and Inveneo we specifically focused on showcasing the practical utility of using cognitive radio systems to access unassigned TV channels without causing interference to television broadcasts and other licensed operations. The temporary license from the Swiss Federal Office of Communications allowed us to connect Neul’s base and client station and Microsoft Research’s prototype TV White Space database to form a White Space system. The latter allowed the base station to act as an access gateway for connecting the client station, and subsequently the XBOX360 to the Internet. Once online, the users could use the XBOX to conduct any activity they would using a traditional broadband connection, including browsing the Internet, streaming live HD videos and playing online computer games. Moreover, we looked to test some more challenging applications, such as a simulated wireless microphone registration, the blocking of an available channel, and seamless TV band channel switching. Throughout the process a spectrum analyzer monitored the spectrum use and found no disruptive interference. At the UN Rio+20 Summit in June 2012, Microsoft demonstrated the potential of TV White Spaces in providing high throughput Wi-Fi for rapid deployment scenarios, such as disaster relief. Our demonstration showed how the use of a base station and client devices can opportunistically leverage TV band White Spaces to significantly expand the rapid deployment kit’s terrestrial network coverage – providing just the kind of almost-instant wide area network so critically needed in these situations. Some of the advantages to using White Spaces include a 3-10x increase in distance covered and the ability to transmit through walls and other barriers that normally stop Wi-Fi. For the purpose of demonstration we featured the emergency.lu rapid response platform, which has been designed to help the relief teams in the field (re-)establish broadband access for first responders. It provides a satellite infrastructure and capacity, communication terminals, and rapid deployment logistics and was developed as a public-private partnership by the Luxembourg Ministry of Foreign Affairs, Skype, HITEC Luxembourg, SES Techcom and Luxembourg Air Ambulance. We have received extremely positive feedback, not only from the government representative present, but from the non-governmental organizations that would typically be deployed when disasters hit. In delivering the demonstration we partnered with Neul, which develops wide-area wireless network technology dedicated to Machine-2-Machine traffic and designed to operate in the TV White Spaces part of the spectrum range. During the 45th annual meeting of the Asian Development Bank Board of Governors in May 2012 in the Philippines, Microsoft demonstrated the potential of Super Wi-Fi networks using TV White Spaces technology. Our demonstration ran for all three days of the conference and the outcomes exceeded all expectations and resulted in substantial interest in the technology from government stakeholders and telecom regulators. Upon an invitation from the government of the Philippines, Microsoft also presented the TV White Spaces technology to them and discussed the possibilities its usage could open up for a country such as the Philippines when it comes to affordable internet access. Traditional broadband deployment represents a significant cost in geographies consisting of islands, and the superior range and coverage of TV White Spaces could allow the Philippines to connect most of its underserved communities to broadband services. In delivering the demonstration we partnered with Adaptrum, a Silicon Valley based company that develops wireless broadband solutions and market-based mechanisms to enable new multi-use network infrastructure and service models. Adaptrum’s TV white space solution was recently certified by the FCC for commercial deployments in the U.S.
Microsoft demonstrated the use of TV White Spaces technology at the Inter-American Development Bank (IDB) Annual Meeting 2012. We looked to showcase the real world utility of the technology to a group of stakeholders that make investment decisions for state infrastructure projects, including broadband deployment, all across Latin America. During the demonstration we used TV channels 19 and 26, which was assigned to us by the Uruguayan spectrum regulation agency URSEC for temporary use. In delivering the demonstration we partnered with Adaptrum, a Silicon Valley based company that develops wireless broadband solutions and market-based mechanisms to enable new multi-use network infrastructure and service models. Using their base and client stations, we showed how these would interact with Microsoft Research’s prototype TV white space database using the assigned channels. The end result was a clear and powerful TV White Spaces connection, which allowed the client side devices to stream live HD movies from Netflix, perform Skype calls and browse the Internet. Microsoft is working with the Kenyan government to deliver solutions that can unlock heretofore unused TV band White Spaces to deliver low cost broadband solutions to underserved and unserved communities. In our demonstration in September 2011, we partnered with the hardware supplier Adaptrum to showcase the use of this disruptive technology to government stakeholders – the first time this has been done anywhere in Africa. Using Adaptrum’s base station and client device and a prototype White Spaces database developed by Microsoft Research, we formed a White Space system where the base station is connected directly to the Internet and acts as an access gateway to connect the client station to the Internet over a broadband connection. Such a connection can also be used to conduct video chat sessions. Throughout the process a spectrum analyzer monitored the spectrum use and found no disruptive interference. Using TV white spaces to bring internet connectivity and telemedicine services hospitals and clinics in outlying areas of Botswana. Commercial partnership with Internet service provider SpectraLink Wireless and research partnership with Facebook. Microsoft and partners successfully trial largest TV Whites Spaces project in the world. Commercial pilot in collaboration with the Council for Scientific and Industrial Research (CSIR), the University of Limpopo and Multisource. Commercial pilot in partnership with Tanzania Commission for Science and Technology (COSTECH) and local Internet service provider UhuruOne. Commercial pilot in collaboration with the government of Kenya’s Ministry of Information and Communications, Indigo Telecom Ltd., and Adaptrum. Technology pilot launched by the Singapore White Spaces Pilot Group (SWSPG). Technical findings and recommendations from the Cambridge White Spaces Consortium following the pilot. We support ongoing efforts to gain a better understanding of spectrum use around the globe. We support proposals to make the unused TV band spectrum available for license-exempt (unlicensed) access on a globally-harmonized basis, facilitated by the use of geolocation databases and other interference protection mechanisms. We support enabling multiple competing database providers to encourage more intensive innovation in dynamic spectrum access and the businesses it can enable. We support efforts to increase the availability of spectrum for license-exempt (unlicensed) use across a variety of frequencies – above and below 1 GHz. We support regulations making other underused spectrum available for dynamic sharing in a variety of licensed, license-exempt (unlicensed), and lightly-licensed spectrum bands. In the long run, we support efforts to make spectrum sharing the default mode of use, with technical rules that address legitimate interference concerns. Across all the work we do, one of our most important goals is to help governments identify the changes that need to be made to support the next generations of spectrum management and to help them implement the rules, regulations and policies that could support dynamic spectrum practices. The United States and Finland are thus far the only countries to allow unlicensed access to the TV white spaces. The U.S. Federal Communications Commission (FCC) recently began certifying white space databases and devices, and the first small-scale commercial networks are being deployed in North Carolina and Virginia. Microsoft Research has developed prototype databases for demos, trials, and pilots conducted in the Brazil, Kenya, the Philippines, Switzerland, Singapore, the United Kingdom, the United States, and Uruguay. The United Kingdom, Canada, and Singapore have commenced consultations and announced plans to develop white space regulations. Japan and Korea have conducted large-scale trials. Leveraging the transition from analog to digital television broadcasts, several other countries will likely develop regulations in the 2014-2015 timeframe. Numerous countries are also looking at white spaces for addressing digital divide challenges – getting affordable broadband access to the unserved billions. The White space opportunity is more than just about the TV bands. Indeed, regulators are already looking at making other spectrum bands available for opportunistic sharing. For example, the European Commission’s Radio Spectrum Policy group has issued positive statements recently about enabling expanded spectrum sharing opportunities. The US FCC is looking at repacking the TV broadcast bands to make more spectrum available for licensing, and has requested comment on making a substantial amount of spectrum available for unlicensed uses, including a significant portion that would be made available on a uniform nationwide basis for the first time. The US FCC is also looking at white spaces access in other bands such as 3.55 to 3.65 GHz and potentially some other bands. Recently, I returned to Nanyuki, Kenya to check on the progress of a unique project Microsoft launched with Mawingu Networks, Jamii Telecom Limited and the Kenyan Ministry of ICT to deliver low-cost, solar-powered Internet access and device charging to rural Kenya. The project, launched two years ago, utilizes ‘white spaces’ – TV frequencies assigned to broadcasters but not used locally – that could be used to provide wireless, broadband access to the 80 percent of Kenyans who do not have access to the Internet. Microsoft and the City of Seattle are teaming up to bring fast, free Wi-Fi that uses “TV white space” technology to people who visit Seattle Center, a spacious city attraction that hosts major festivals and draws tourists from around the world. Microsoft is providing technical support for technology deployment of a TV White Spaces pilot in partnership with the Universal Service Fund of Jamaica, United States Agency for International Development (USAID) Jamaica, Microsoft and NetHope, Inc., to promote national development of broadband-based information and communication technologies in Jamaica. Microsoft lights up Limpopo to enhance the education experience. Microsoft is working with local stakeholders to improve the lives of fishermen in the Philippines. 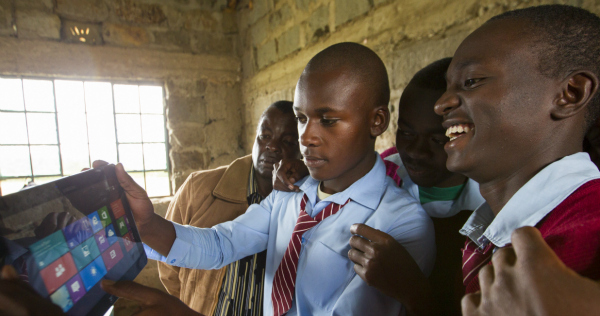 Microsoft is working with key partners in Kenya to use TV White Spaces to deliver connectivity and learning access to remote villages in Kenya. Press mentions older than one year are available in the News Archive. A: Spectrum describes the range of frequencies, which wireless devices can use to transmit and receive information. In order to manage access to spectrum, regulators allocate different bands of frequencies for different uses and establish technical rules minimize the likelihood of harmful interference. Some bands of spectrum are licensed for the exclusive use of certain entities and for specified purposes. These include uses as varied as military and public safety purposes as well as commercial applications such as radio, television and broadband Internet. Other bands are set aside for shared use on an unlicensed or license-exempt basis. Common uses of unlicensed or license-exempt spectrum are Wi-Fi networks and Bluetooth devices. Q: Is there a spectrum crunch? A: No. As the number of wireless devices and the traffic that flows over them continues to grow, more efficient use of available spectrum is needed to keep up with the demand. In reality the so-called “spectrum crunch” reflects the artificial spectrum scarcity created by outmoded and inflexible regulations and network architectures that are not designed to accommodate today’s rapid pace of technical innovation and the resultant growth in the number of wireless devices and internet-based services. The underlying problem lies in an approach, which sees spectrum statically allocated to individual services (radio, television, etc.) even though the vast bulk of that spectrum isn’t used at any given place or time. Q: How can we solve this problem? A: In order to address this issue, we need to transition to an approach in which spectrum is dynamically shared in response to local demand and usage models. Greater reliance on dynamic spectrum sharing approaches will lower barriers to market entry, leading to multiple solution providers to compete via innovation and price. Making underused spectrum available for dynamic sharing through a variety of licensing approaches will encourage further innovation and help resolve the perceived spectrum shortage. Q: What are the options for addressing increased demands for spectrum-based services? A: Yes, policymakers have a variety of options for addressing the growing demand for spectrum-based services. In fact, there is no single solution that will act as a panacea. To meet growing demand and address other policy challenges, policy-makers must consider multiple approaches, such as reallocation, making more spectrum available on a non-exclusive unlicensed or license-exempt basis, auctioning and/or assigning more spectrum for exclusive use licenses, and innovative technologies, such as those which can be used in the TV band White Spaces that enable opportunistic, dynamic use of limited spectrum. Q: What is dynamic spectrum access? A: Dynamic Spectrum Access (DSA) is an umbrella term used to describe a set of technologies and techniques enabling radio communications devices to opportunistically transmit on available radio spectrum. These technologies and techniques ensure that consumers and their devices have wireless bandwidth when and where they need it. Q: What are TV White Spaces? A: The term TV White Space spectrum refers to frequencies in the VHF and UHF television broadcast bands that are either unassigned or unused by existing broadcast or other licensees. Television broadcasts occupy designated channels in the VHF and UHF bands, with the assignment of channels to broadcasts varying by location. Not all the designated channels are in use for broadcast in any given market, giving rise to “White Spaces” in which a channel that is not used for broadcast may be available for other purposes. Microsoft believes that the first globally-harmonized opportunity to use DSA technologies and techniques will be in the TV bands. Q: How do TV White Spaces relate to the spectrum crunch? A: In every location around the world, there is unused TV band spectrum (essentially unused TV channels) that could be used for a range of wireless applications, from broadband, to wireless offload, to machine-to-machine. Leveraging dynamic spectrum access technologies, such as geolocation databases, this unused TV band spectrum could be put to good use. Unlocking the TV band and other unused white spaces spectrum will mean significantly increasing the total amount of available bandwidth available for consumers and their devices – and thereby alleviating pressure on other spectrum bands. Based on the results of trials we’ve conducted in the US, Europe, and Asia, we believe TVWS technology will be able to deliver similar functionality and speed compared to other wireless broadband technologies. Q: How do we know the use of White Spaces won’t interfere with licensed operations? A: Microsoft has conducted trials and commercial pilots in Singapore, the U.S. and the U.K. and other companies have implemented similar solutions elsewhere. Our numerous tests have proved that TV band white space devices operate without causing interference to existing licensees entitled to interference protection. White Spaces devices will gain managed access to unused TV channels by providing their precise locations to a database which in turn provides channel lists along with other operating parameters, such as power, duration, and geographic boundaries. White Space devices will only use those channels provided by an authorized White Space database. If no channels are returned, a White Spaces device will not transmit on TV band spectrum. Please refer to the case study (pilots) section for more information. Q: What infrastructure would the technology require? A: The one essential infrastructure piece needed to deploy a TV White Spaces network is a database. The database lets devices in the area know which spectrum is available for access in that location. Users will be able to purchase, install and operate their own networks. If a user would like to use TV White Spaces access points in a home or retail environment (e.g., to create a hot spot), a broadband connection is needed to access the network (either wireless or wired). To use TV White Spaces as a base-station complement, backhaul is needed (a high-capacity wire or wireless connection). Q: How far out in the future is implementation of this technology? A: The technology has been tried and tested and therefore the implementation depends to a great extent on policymakers. Assuming appropriate regulations are put in place, consumers will in due course notice the introduction of devices, applications and services which will make use of White Spaces to deliver faster and better internet connections in many more places than they currently experience. Many industry observers believe 2013 will be a big year for TV White Spaces, with introduction of international standards and regulation in US, Canada, UK, Singapore and elsewhere. Q: What’s the benefit to consumers? A: Consumers will benefit from higher bandwidth and/or more widely available network access, which will in turn enable them to enjoy the growing number of online services more fully and conveniently. This includes the full range of communications services, including the ability to send and receive audio-visual content. In addition, consumers will undoubtedly benefit from the economic growth that these new technologies would enable. Q: What work has been done so far on developing industry standards? A: Various standards involving devices and databases are being developed. Most notable are efforts to standardize Wi-Fi – a proven and growing device ecosystem – for use in TV band and other White Space spectrum. The IEEE 802.11af task group is working on a global Wi-Fi standard for White Spaces access and a draft specification passed its second letter ballot in November 2012. Wi-Fi devices implementing the 802.11af standard will likely include multi-mode chips offering White Spaces (470-698 MHz), 2.4 GHz, and 5 GHz Wi-Fi connectivity. Other notable standards efforts are focused on addressing the emerging machine-to-machine family of use cases. Q: What changes need to occur to make widespread adoption of TVWS technology feasible? A: The main change that needs to take place is legislative and regulatory. Policy-makers need to move away from predominantly promoting exclusive-use licensing and instead enable a variety of exclusive-use and non-exclusive spectrum access approaches across a variety of spectrum bands. To maximize efficiency, regulators should promote dynamic spectrum access techniques in spectrum made available on a non-exclusive basis. The first globally-harmonized opportunity to use dynamic spectrum access technologies and techniques will be in the TV bands. This approach will lower barriers to market entry and lead to multiple solution providers who compete via innovation and price. Q: What regulation is currently in place in the U.S. and elsewhere? A: The United States and Finland are thus far the only countries to allow unlicensed access to the TV White Spaces. The U.S. Federal Communications Commission (FCC) recently began certifying White Space databases and devices and the first small-scale commercial networks are being deployed – in North Carolina and Virginia. Microsoft has received conditional authority from the U.S. FCC to serve as a White Space database administrator and must now go through a certification process. The United Kingdom, Canada, and Singapore have commenced consultations. Japan and Korea are conducting large-scale trials and would benefit from having regulations in place when Wi-Fi standards are complete. Leveraging the transition from analog to digital television broadcasts, several other countries could develop regulations in the 2014-2015 timeframe. Q: What other bands should be opened to non-exclusive license-exempt use? A: Although the first globally-harmonized opportunity to showcase DSA is occurring through license-exempt (unlicensed) access to the TV band White Spaces, DSA technologies and techniques can and will be used in a variety of regulatory settings, including licensed, lightly-licensed, and license-exempt access, and across a variety of spectrum bands, from sub-1 GHz all the way to the 5 GHz bands and above. In its July 2012 report, the United States President’s Council of Advisors on Science and Technology (PCAST) recommends that in the next 1-3 years NTIA allow lower power “general authorized access” devices to operate in two federal bands, specifically 3550-3650 MHz and another band identified by the U.S. FCC and the NTIA. Ideally, the second band identified should be below 1 GHz. For example, two bands included on PCAST’s and NTIA’s list are 406.1-420 MHz and 1300­1370 MHz. There are likely others as well and we hope the work done at the Spectrum Observatory can help inform that discussion. Opportunities are countless and spectrum sharing, especially unlicensed sharing in the bands below 2 GHz, represents a creative, tested and affordable way of extending broadband access. This technology can also support the efficient delivery of government services, such as real-time traffic monitoring and the management of government-operated infrastructure. Q: What efforts has Microsoft made to ensure the success of White Space technology? A: Microsoft has spent many years investigating new technologies that can increase productive use of spectrum, through development of technology, trials and innovative solutions. For example, the Microsoft Spectrum Observatory was created with the purpose of providing an intuitive presentation of the usage of the wireless spectrum – allowing us to demonstrate that there is a lot of unused, but usable spectrum. The data we gather from the tool can better inform decisions regarding which spectrum bands are the most appropriate near term targets for expanded spectrum sharing. We are committed to fostering the needed regulatory shifts that will make more under-utilized spectrum available. Our on-going trial project on our Redmond, Washington campus was one of the first TVWS-based trials to use an experimental license from the Federal Communications Commission in the US and covers the nearly 600-acre campus. Microsoft has also conducted and supported trials and commercial pilots in Singapore, the UK and the US. Q: What is Microsoft position when it comes to regulation? A: We support ongoing efforts to gain a better understanding of spectrum use around the globe through deployment of Spectrum Observatories, trials and demonstrations. We also support proposals to make the unused TV band spectrum available for license-exempt (unlicensed) access on a globally-harmonized basis, facilitated by the use of geolocation databases and other interference protection mechanisms. We support regulations making other underused spectrum available for dynamic sharing in a variety of licensed, license-exempt (unlicensed), and lightly-licensed spectrum bands. In the long run, we support efforts to make spectrum sharing the default mode of use, with technical rules that address legitimate interference concerns.